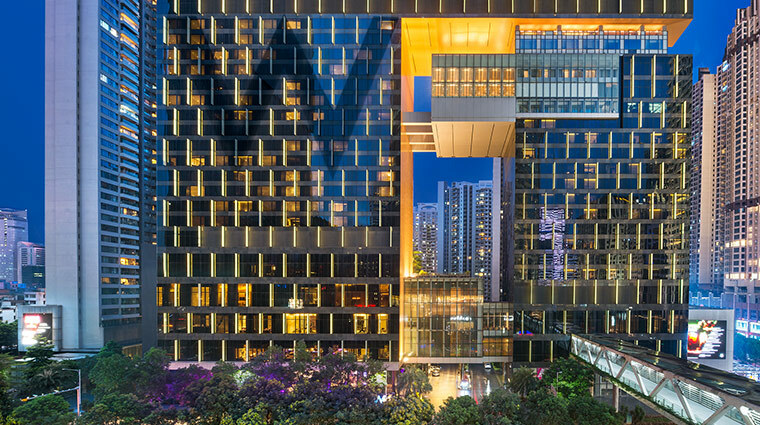 A few blocks from Guangzhou’s Pearl River, the W Guangzhou is the stylish hotel brand’s first foray into mainland China. 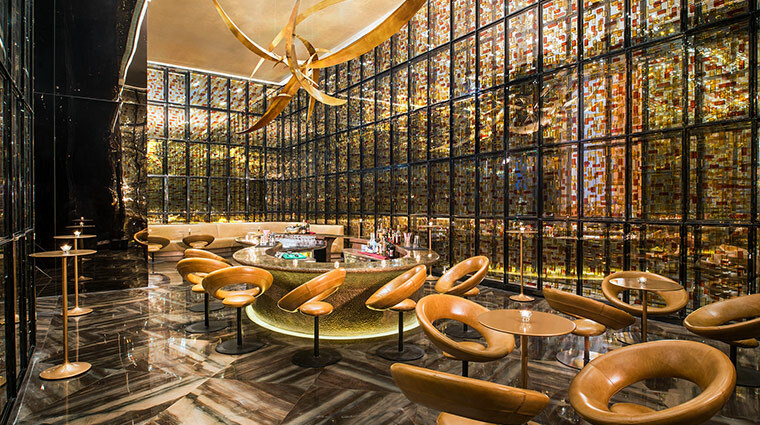 Out to wow you at every turn, the lobby takes the five elements of feng shui — fire, earth, metal, water and wood — on a rollercoaster, featuring fire-colored glass paneling, earth-inspired marble floors, an avant-garde bronze sculpture, hand-carved wooden benches and a mesmerizing LED waterfall that’s three stories high. 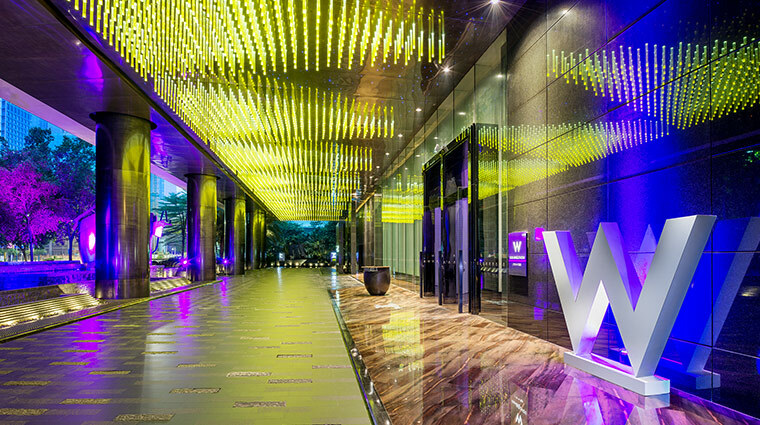 Despite these natural touches, the W Guangzhou is far from rustic. 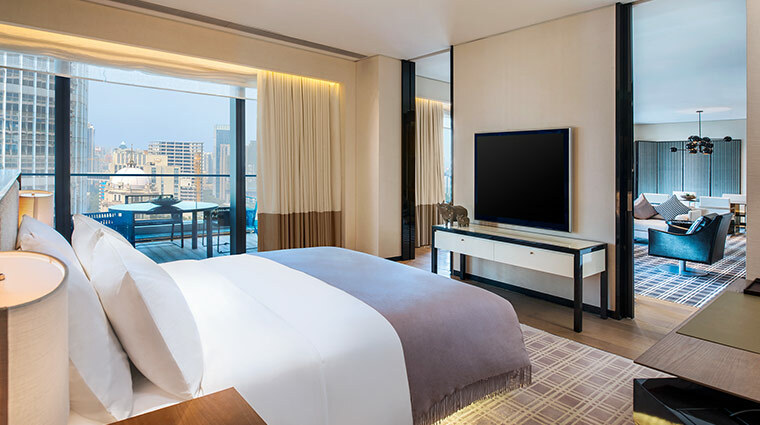 Smack in the middle of the CBD near all of the convention centers and just a 15-minute drive to the main Guangzhou East train station, the vibrant property is in a great location for striking deals. 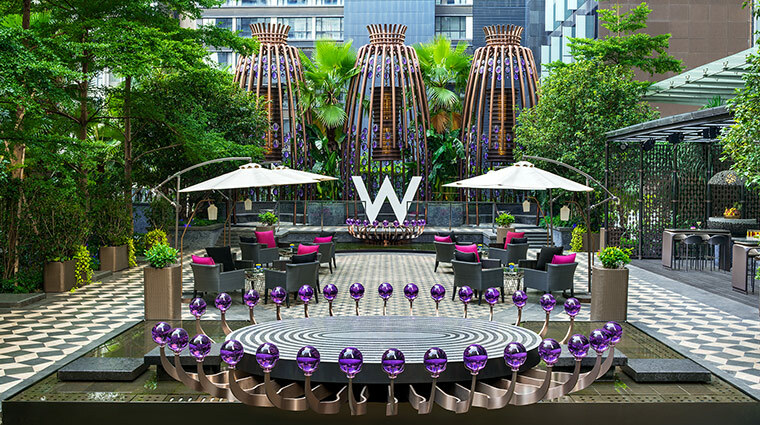 For those in search of a fashion-forward and energetic hotel amid the city’s many straight-laced business addresses, the W is an obvious choice. 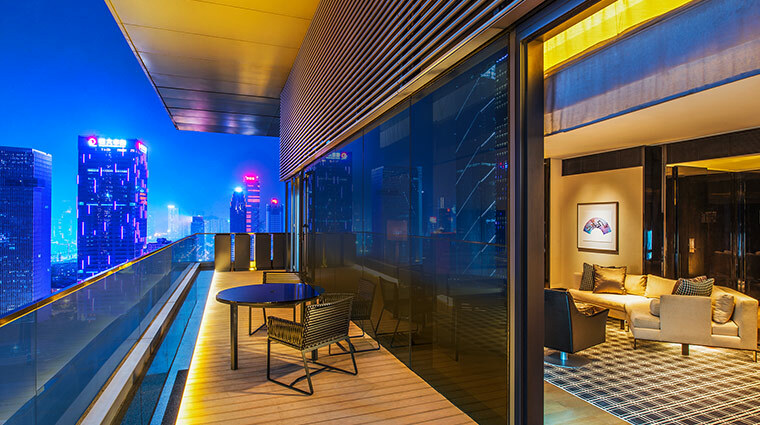 This hip hotel is the only W location that offers a club lounge — an added luxury to accommodate Guangzhou’s many business travelers. 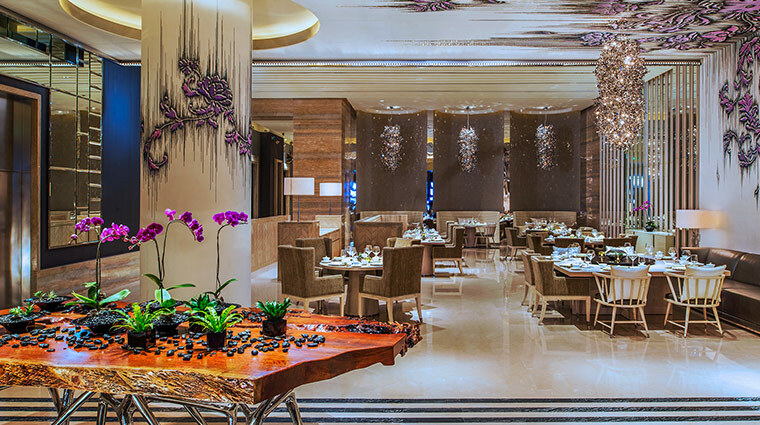 Dining is of utmost importance to the W brand, and the Guangzhou hotel has three restaurants to choose from: The Kitchen Table international buffet, I by Inagiku’s Japanese staples and Yan Yu’s contemporary Cantonese cuisine. 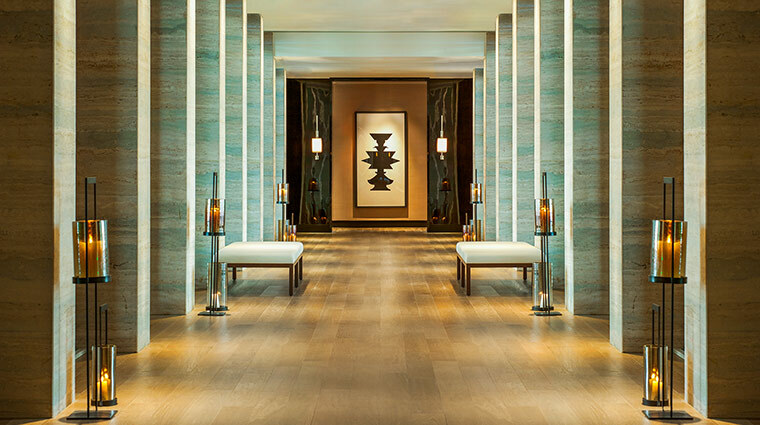 With more than 16,000 square-feet, The Away Spa on the 28th floor has plenty of room to relax. 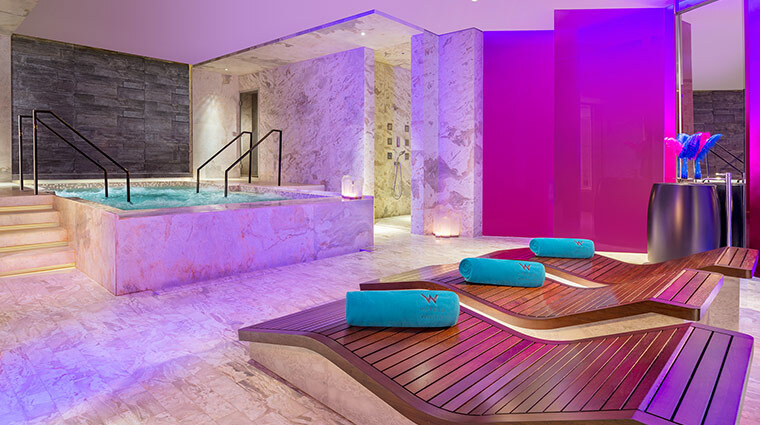 Guests can take refuge in the dry sauna, steam room, vitality pool and nine treatment rooms are sprawled across the impressive space. 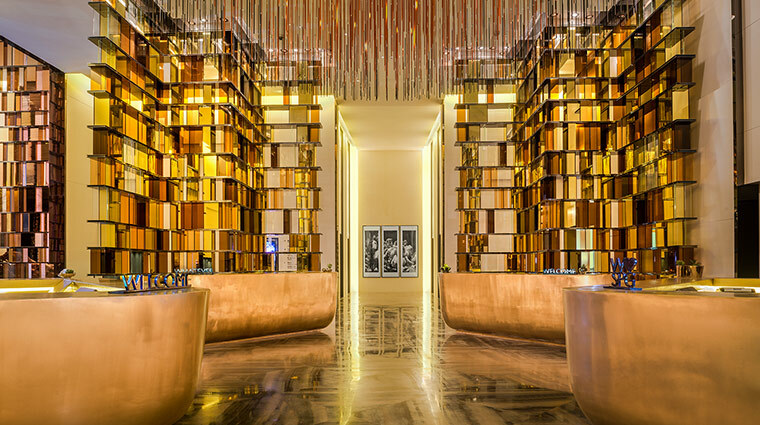 The expansive Fit exercise area comes equipped with cardio machines and free weights, as well as a separate yoga room and a ballet bar. 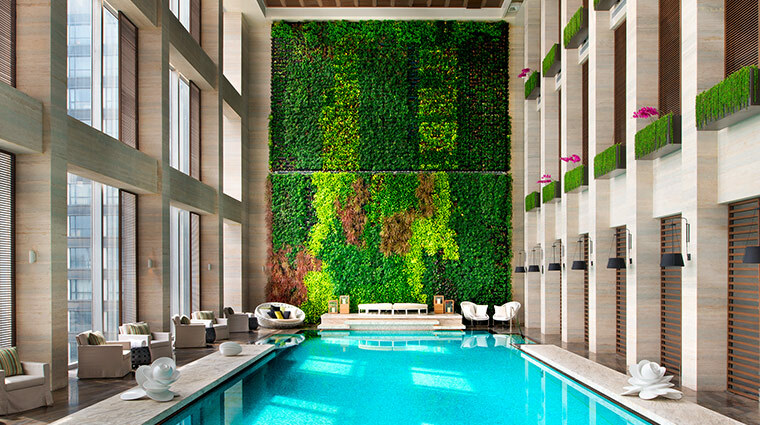 Not to be outdone, the flashy hotel’s almost-69-foot heated indoor pool is lit up with natural sunlight and even plays music underwater. 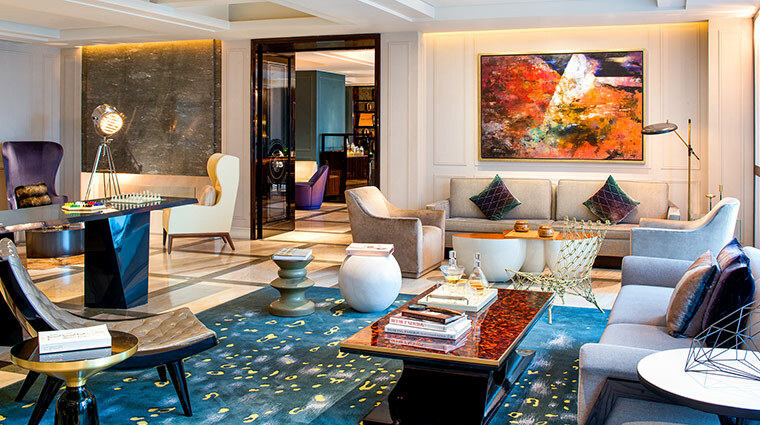 Beyond the rooms and suites, quiet corners are few and far-between at this lively hotel. 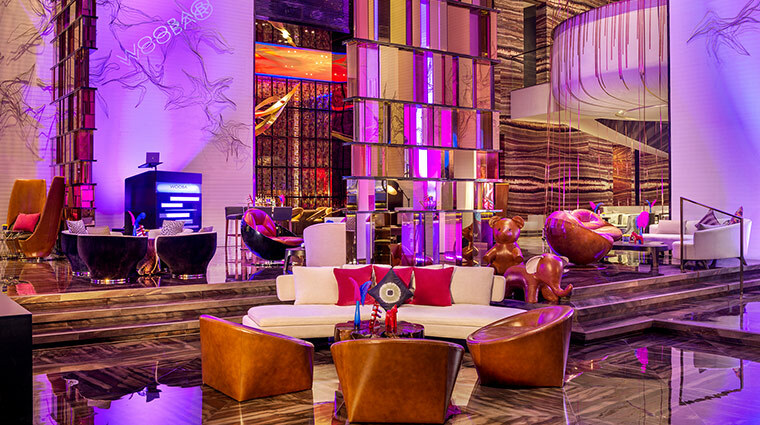 Party-goers will appreciate this high-energy hotel’s signature Woobar, which features live DJs. 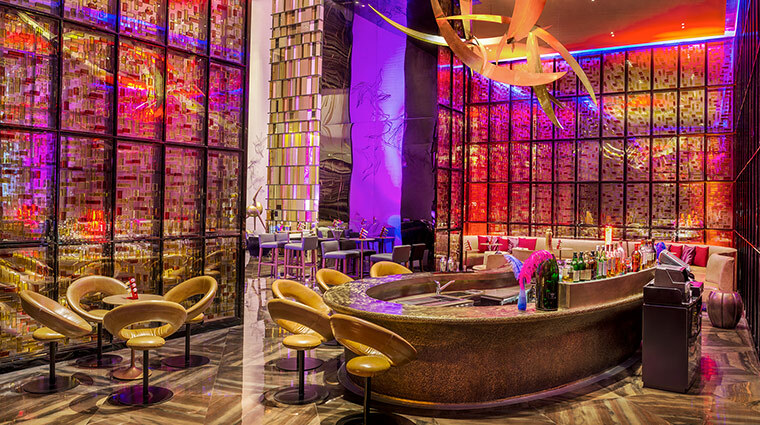 The busy Fei nightclub is also a great option for those seeking a thrilling nightlife experience. Almost every night of the week, Woobar offers a different drinking deal. 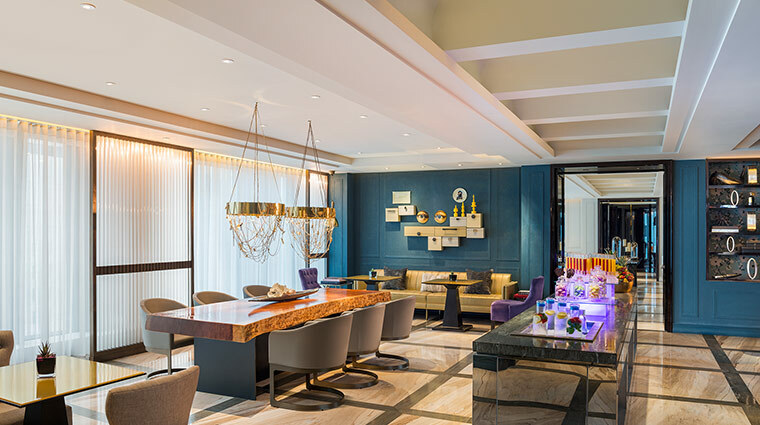 The trendy bar also hosts a daily “Tea-Volution,” which is an afternoon tea spread that’s quite popular with travelers and locals alike. 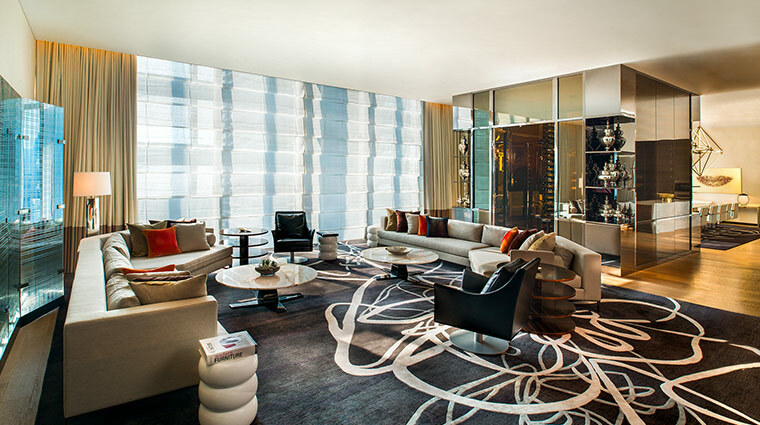 Starwood's Platinum Preferred Guests and those who have booked suites all have access to the club lounge on the 26th floor, which is home to gorgeous views, light snacks and complimentary happy hours. 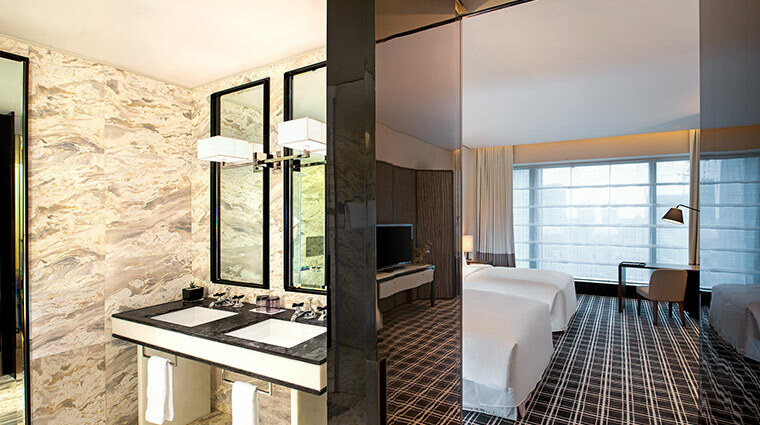 Located on floors seven to 27 of the tower and ranging in size from 538 to 9,559 square feet, the 317 rooms and suites have different looks depending on which floor they are located. 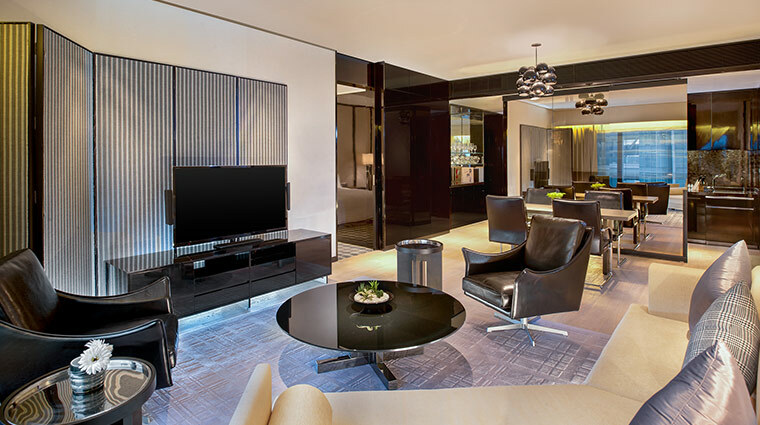 All rooms include floor-to-ceiling windows, rain showers, separate bathtubs and Bliss bath amenities. 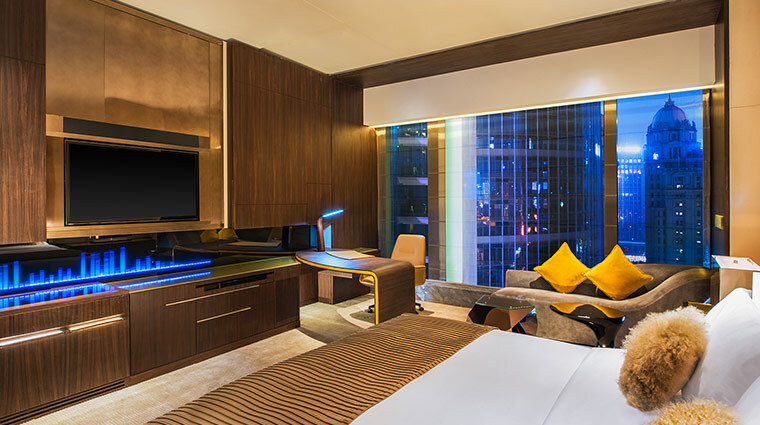 Expect lots of tech-savvy touches, too — such as Starwood Preferred Guest’s new cell phone room entry, mood lighting, electronic curtains, 3D TVs and Nespresso machines.